The basic unit of length (or distance) in the Metric System. 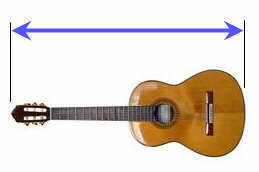 Example: the length of this guitar is a little over 1 meter. Defined as the distance light travels in a vacuum in 1/299,792,458 of a second.